You can find lot of examples of how to do with Excel using Apache POI online, which means you will never feel alone and has instant Google support if you stuck there. In this article, we will learn how to read and write excel files in Java. As I said, Excel files has two popular format .XLS (produced by Microsoft Officer version prior to 2007 e.g. MS Office 2000 and 2003) and .XLSX (created by Microsoft Office 2007 onwards e.g. MS Office 2010 and 2013). Fortunately Apache POI supports both format, and you can easily create, read, write and update Excel files using this library. It uses terms like workbook, worksheet, cell, row to keep itself aligned with Microsoft Excel and that's why it is very easy to use. Apache POI also provides different implementation classes to handle both XLS and XLSX file format. One interesting thing with POI is that (I don't know whether it's intentional, accidentally or real) it has got some really funny names for its workbook implementations e.g. 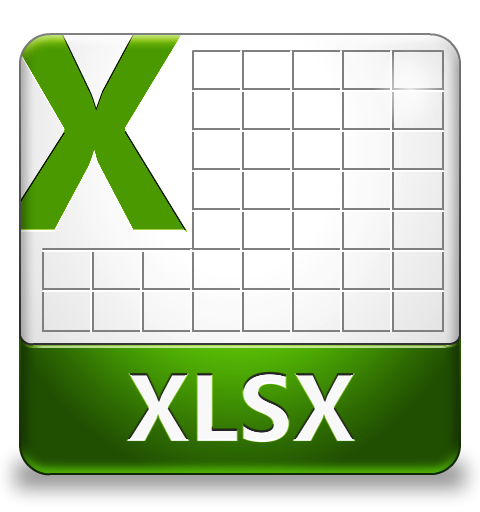 XSSF (XML SpreadSheet Format) – Used to reading and writting Open Office XML (XLSX) format files. HSSF (Horrible SpreadSheet Format) – Use to read and write Microsoft Excel (XLS) format files. HWPF (Horrible Word Processor Format) – to read and write Microsoft Word 97 (DOC) format files. HDGF (Horrible DiaGram Format) – One of the first pure Java implementation for Microsoft Visio binary files. HPSF (Horrible Property Set Format) – For reading “Document Summary” information from Microsoft Office files. HPBF (Horrible PuBlisher Format) – Apache's pure Java implementation for Microsoft Publisher files. DDF (Dreadful Drawing Format) – Apache POI package for decoding the Microsoft Office Drawing format. It's very important that you know full form of these acronyms, otherwise it would be difficult to keep track of which implementation is for which format. If you are only concerned about reading Excel files then at-least remember XSSF and HSSF classes e.g. XSSFWorkBook and HSSFWorkBook. In our fist example we will learned about reading current popular Excel file format i.e. file with extension .XLSX. This is a XML spread sheet format and other spreadsheet software like OpenOffice and LiberOffice also use this format. In order to read Excel file, you need to first download Apache POI Jar files, without these your code will neither compiler nor execute. If you hate to maintain JARs by yourself, use Maven. In Eclipse IDE, you can download M2Eclipse plug-in to setup Maven project. Once you done that, add following dependencies in your pom.xml (project object model) file. Here is how our sample Excel 2013 File look like, remember this has saved in .xlsx format. add here is code to read that Excel file. First two lines are very common, they are to read file from file system in Java, real code starts from 3rd line. Here we are passing a binary InputStream to create instance of XSSFWorkBook class, which represent a Excel workbook. Next line gives us a worksheet from book, and from there we are just going through each row and then each column. Cell represent a block in Excel, also known as cell. This is where we read or write data. Cell can be any type e.g. String, numeric or boolean. Before reading value you must ascertain correct type of cell. After that just call corresponding value method e.g. getStringValue() or getNumericValue() to read data from cell. This how exactly you read rows and columns from Excel file in Java. You can see we have used two for loop, one to iterate over all rows and inner loop is to go through each column. Let me know if you have trouble to understand any of line. They are very simple and self-explanatory but if you need additional detail, just drop us a comment. Writing into Excel file is also similar to reading, The workbook and worksheet classes will remain same, all you will do is to create new rows, columns and cells. Once you are done creating new rows in your Excel file in memory, you need to open an output stream to write that data into your Excel File. This will save all update you made in existing file or in a new file which is created by Java's File class. Here is step by step code of updating an existing Excel file in Java. In first couple of lines we are creating rows in form of object array and storing them as value in HashMap with key as row number. After that we loop through HashMap and insert each row at the end of last row, in other word we are appending rows in our Excel file. Just like before reading we need to determine type of cell, we also need to do the same thing before writing data into cell. This is done by using instanceof keyword of Java. Once you are done with appending all rows form Map to Excel file, save the file by opening a FileOutputStream and saving data into file system. 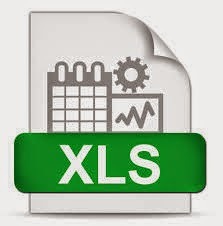 Reading XLS file is no different than reading an XLSX format file, all you need to do is to use correct workbook implementation for XLS format e.g. instead of using XSSFWorkbook and XSSFSheet , you need to use HSSFWorkbook and HSSFSheet classes from Apache POI library. As I said before, POI has got some really funny names for different XLS formats e.g. Horrible SpreadSheet Format to represent old Microsoft Excel file format (.xls). Remembering them can be hard but you can always refer to their online Javadoc. You can reuse rest of code given in this example, for example you can use same code snippet to iterate over rows, columns and from reading/writing into a particular cell. Given they are two different format, some features will not be available on XLS file processors but all basic stuff remain same. Here is our full Java program to read/write from existing Excel file in Java. If you are using Eclipse IDE, just create a Java Project, copy the code and paste it there. No need to create proper package structure and Java source file with same name, Eclipse will take care of that. If you have Maven and Eclipse plugin installed, instead create a Maven Java project, this will also help you to download Apache POI Jar files. That's all about how to read and write Excel file in Java. We have learned to read/write both XLS and XLSX format in Java, which is key to support old Microsoft Excel files created using Microsoft Office version prior to 2007. Though there are couple of other alternative libraries to read Excel files from Java program, but Apache POI is the best one and you should use it whenever possible. Let me know if you face any problem while running this program in your Eclipse IDE or from command prompt. Just make sure to include right set of JAR in your CLASSPATH, alternatively used Maven to download JAR. Well, that lib doesn't have any documentation. A few examples only goes so far. The classes for the OOXML file formats (such as XSSF for .xlsx) are in a different Jar file. You need to include the poi-ooxml jar in your project, along with the dependencies for it. Indeed, Thanks Norbert for pointing that out. Some how I had overlooked that dependency, as Maven takes care of the itself. Corrected Now. Yes boss you are right. Is there a "clean" way how can we detect whether the .xls or .xlsx file is encrypted with the password? If so, how can we pass the password before reading? This was very useful, thanks you! How do you read color and font style using above method? @Ashok, it clearly saying that file format is not supported. Can you past the format of your file you are trying to read or write? This error occured mainly because you are trying to read XLSX file but you have only poi.jar in your classpath. Since XLSX is OpenXML format, you also need poi-ooxml.jar files e.g. poi-ooxml-3.11.jar. All the file related to reading XLSX file e.g. XSSFWorkBook and Even OpenXML4JException are in this JAR. Just put poi-ooxml-3.11.jar to solve java.lang.NoClassDefFoundError: org/openxml4j/exceptions/OpenXML4JException. The source attachment does not contain the source for the XSSFSheet class. You can change source attachment by clicking Change Attached source below. Any clue why I'm getting this? I don't get this consistently, some time it works for the first 2 calls of those methods but on 3rd call, it returns error like this. Hello Nadodi, you need to attach source for poi-ooxml-3.11.jar in your Eclipse. If you are not sure how to attach JAR to source in Eclipse, just search in this blog or Javarevisited, you will get the tutorial. Hello Admin, How to ignore first row, which is basically header while reading XLSX file in Java? Or does POI already ignores column headers while reading? Just remember, when you read numeric cell value from Excel file using getNumericCellValue() it reutns a double, so if you need to store it into an integer or long variable, you need to cast this value to long. Hello, how to make an XLSX just like as download button, so there will be a dialogue box for choose the directory location..
Never heard of this problem before it may be due to the sheer size of data OS would be taking some time to write it down, but its just a guess. Apache POI defaut use a Buffer to write in the file. the data is write to your disk when the buffer is full or when you specify it whith 'close'. good catch, workbook should be closed after reading or writing is finished. Can we use JDK 7 try with resource with POI XLS and XLSX workbook as well? this will ensure that workbook and worksheet will be closed automatically. How to read a xlsx file which is password protected? @Sagar, you can open and read a password protected xlsx file in Java either by using jExcelAPI or by using Apache POI API, both provides encryption decryption support. You can use org.apache.poi.hssf.record.crypt to open password protected HSSF i.e. XLS file and org.apache.poi.poifs.crypt to open password protected XSSF or XLSX file. don't forget to provide password by calling org.apache.poi.hssf.record.crypto.Biff8EncryptionKey.setCurrentUserPassword(password); method. It looks you are using a feature which is not supported by Apache POI library, other than that, I can't deduce any more information from this stack trace. If you could provide some more context e.g. what you are doing, what does your XLS file contains and which version of Apache POI you are using, we can help better. When I read Excel file java return next exception. What I still miss. Thank you. how we have increase the row in xlsx file because its also store 60000 row. Hi, I am updating the .xlsx excel file and it takes lot of time at line "book.write(os);". How can we reduce the time, because it takes about 5minutes to update the excel of size 300KB. Excelente mi pana, simplemente Genial, felicitaciones, me sirvio perfecto gracias. what is the jar stax-api used for? Hello @Unknown, stax-api contains StAX parser, one of the parse for XML processing e.g. DOM and SAX. display only Name whose salary range between 60k to 100k in eclipse. Hello lalita, you need to first get the value and then you need check if salary is in between 60K and 100K and then you need to print. The business logic will only be applied once you retrieve the value. Excellent explanation. Very much useful !! Thanks Mukesh, glad you find my tutorials useful. I need advise on how to create a xlsx file using java. I am able to save and open .xls file but when try to with .xlsx format, the file will corrupt. Is there any other command that can help to save the file using .xlsx? I think you have a typo in your code, you can see the extension is ".lsx" instead of ".xls" but I suggest you to use Apache POI library for creating XLS file, as shown in this article. how do you handle empty spaces? I´m reading from a xlsx. everything works fine but empty spaces. I tried with Cell.CELL_TYPE_BLANK, but is not working. Hello Daniel, Can you explain bit more e.g. what is the problem and what do you want? AFAIK, Apache POI RowIterator and CellIterator does not support iterating over NULL cells or rows but you can iterate over physically defined cells (which can be BLANK). If the cell is missing from the file and you want to generate blank cell then you can use the Row.getCell([int], Row.CREATE_NULL_AS_BLANK), which will give you blank cell. Alternatively, you can use the Cell.columnIndex value while iterating to check for jumping numbers. You also need to specify MissingCellPolicy for this to get it work. But, as I said, I don't if this is your requirement. Please share more details. Hello @Unknown, Java is not able to find the file "reportform.xlsx", which means either file name is incorrect or path of the file is not correct. please give full path to the file. Hey folks, this code gave me a lot of intro to understanding how to access Excel data. But right now, I need to know, how i can identify positive and negative value in 200+ rows and 3 columns, and the matching numbers (for eg: A2=54 and B6= -54) should be made zero..
Can anyone of you guide me to the code? Thank you, this very helpful! hi why the happen like this?